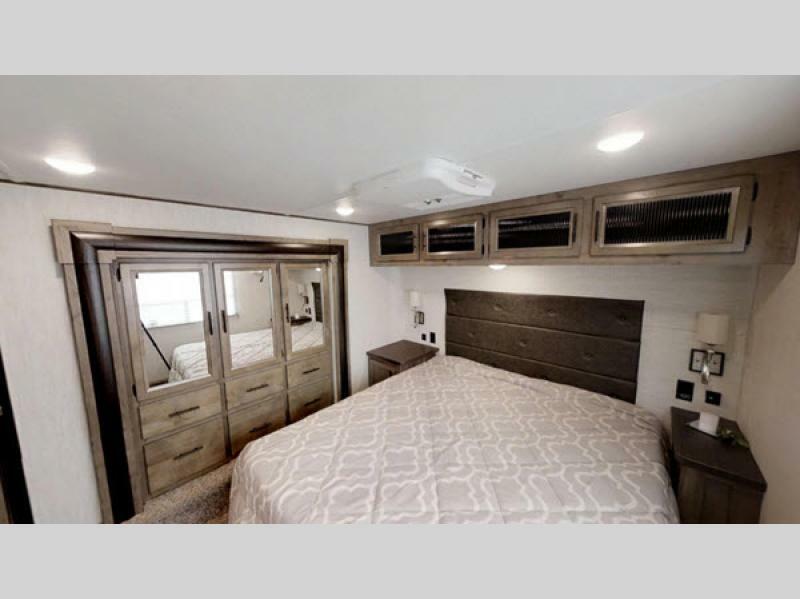 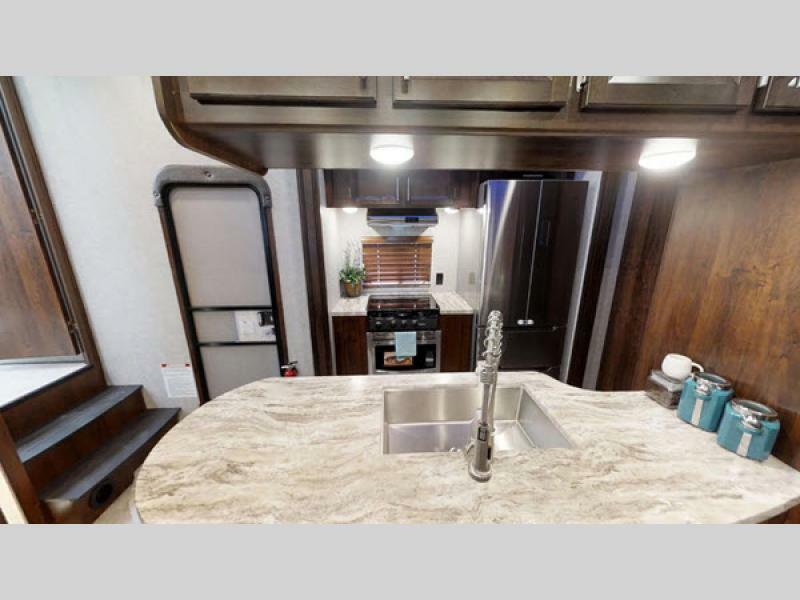 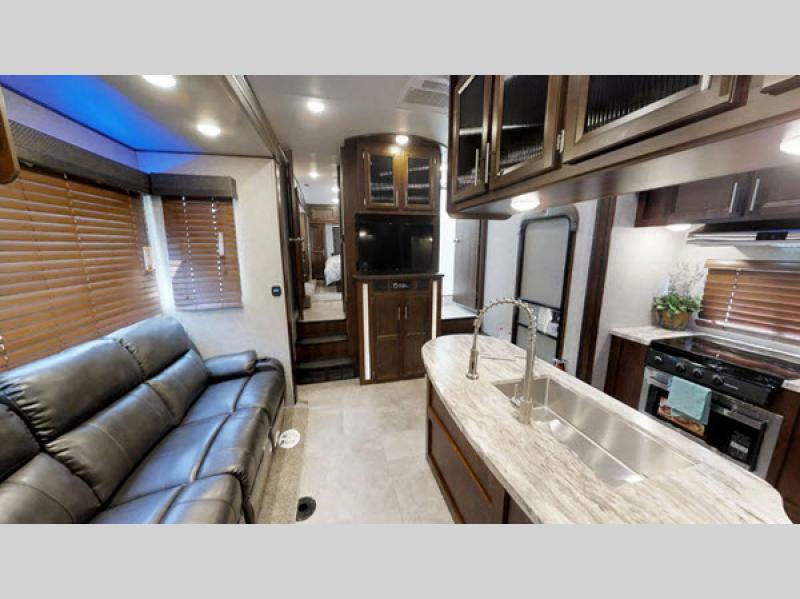 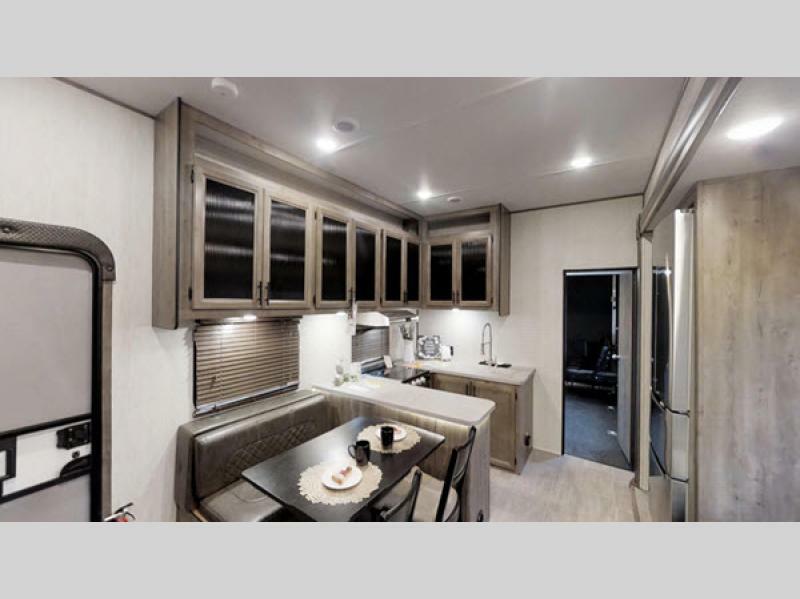 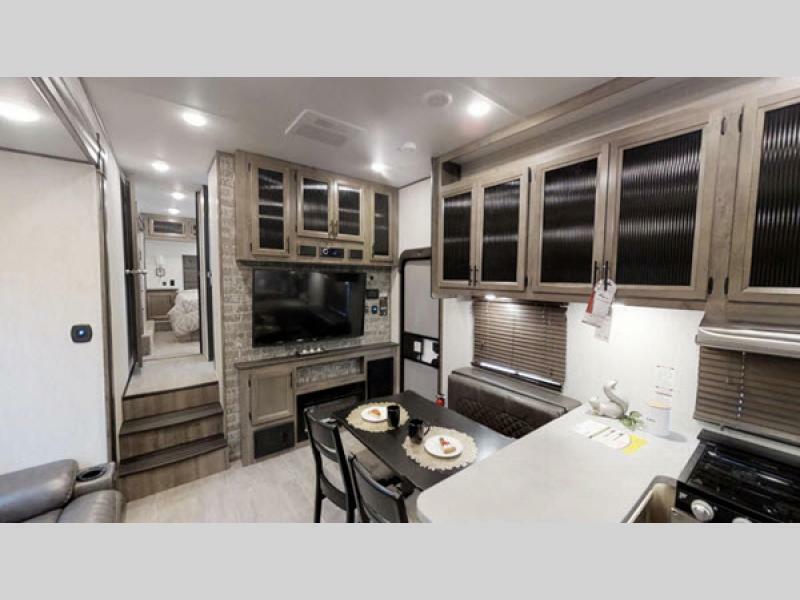 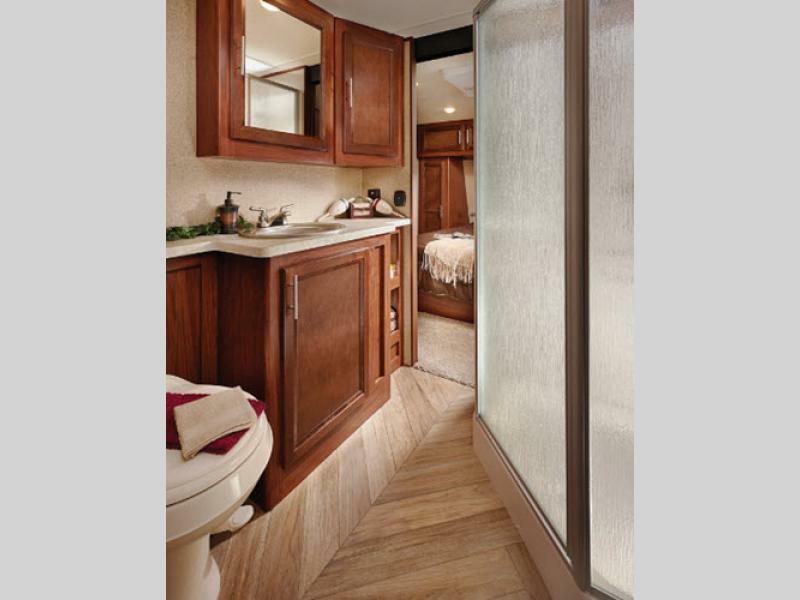 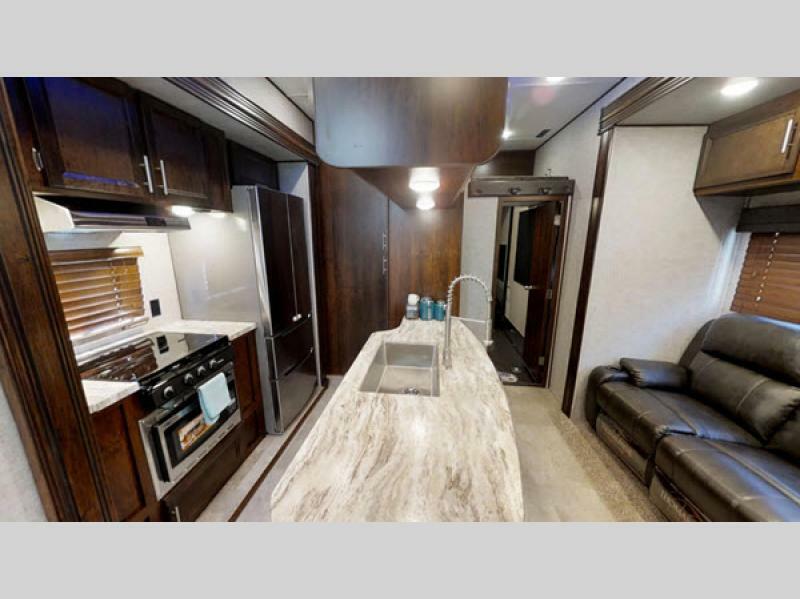 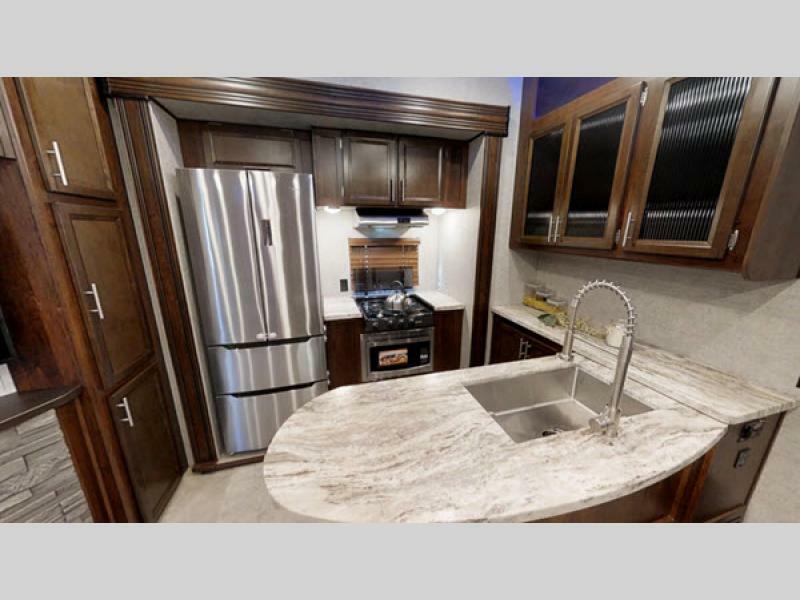 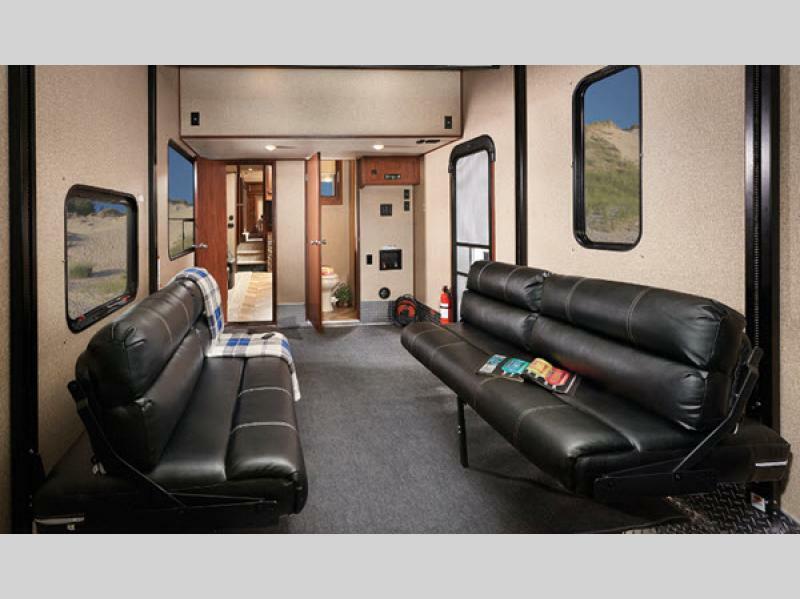 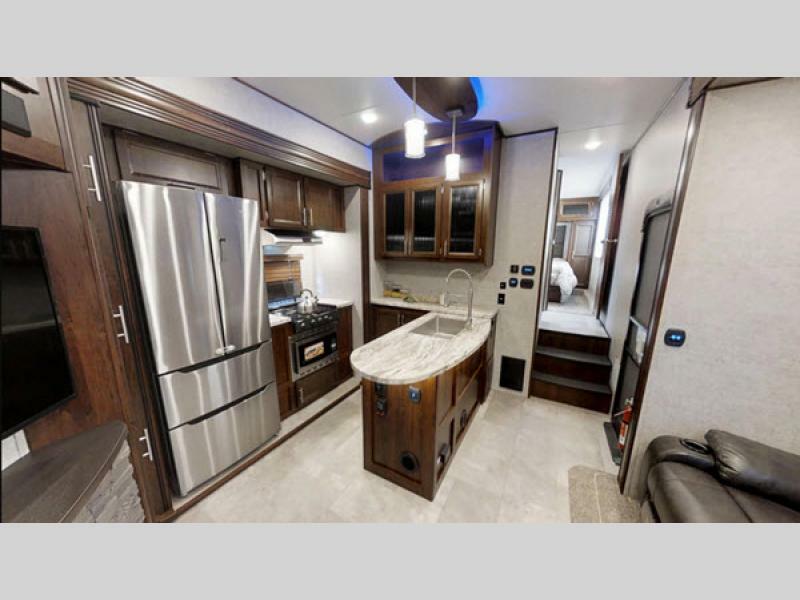 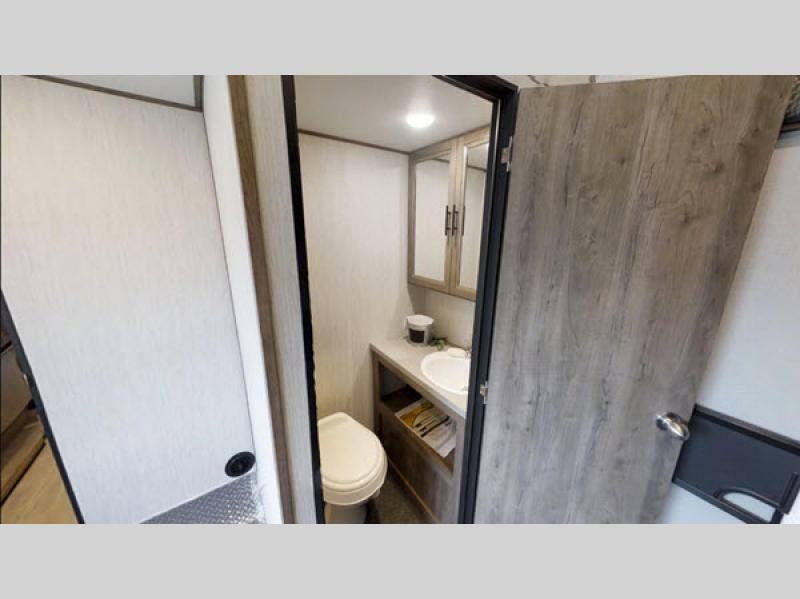 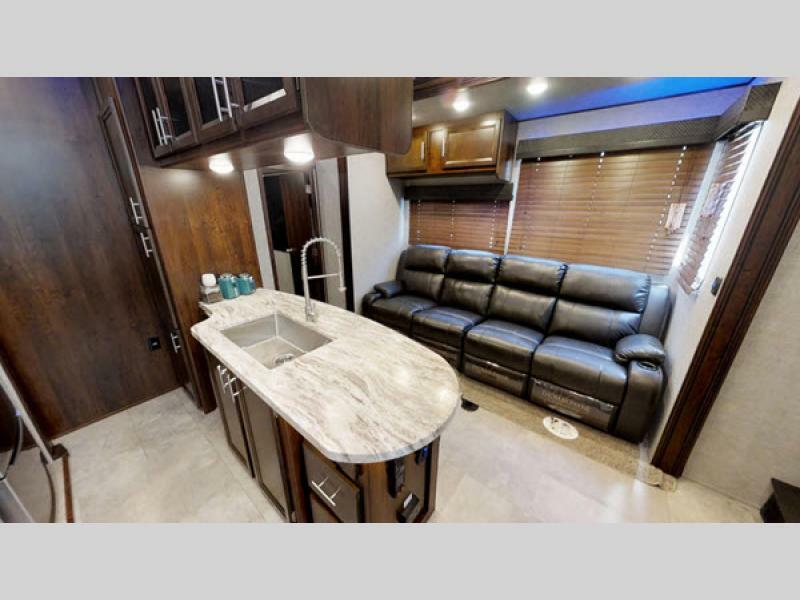 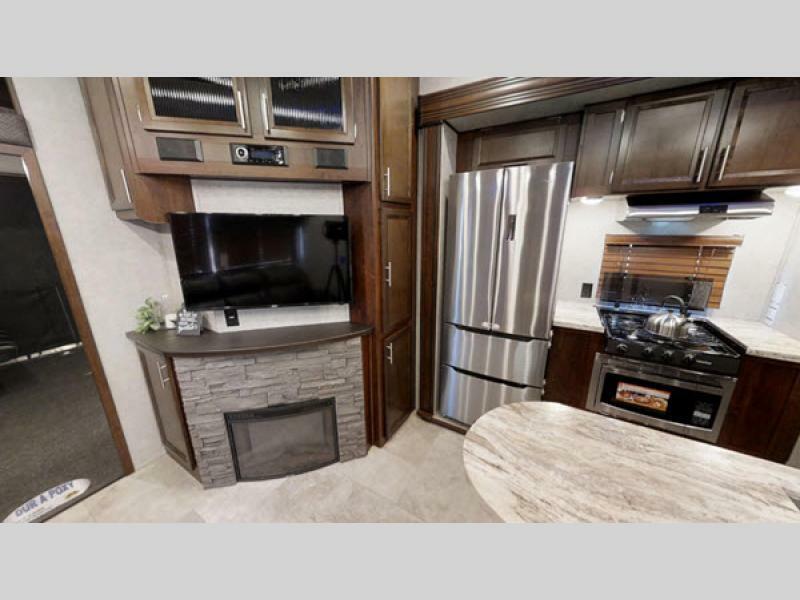 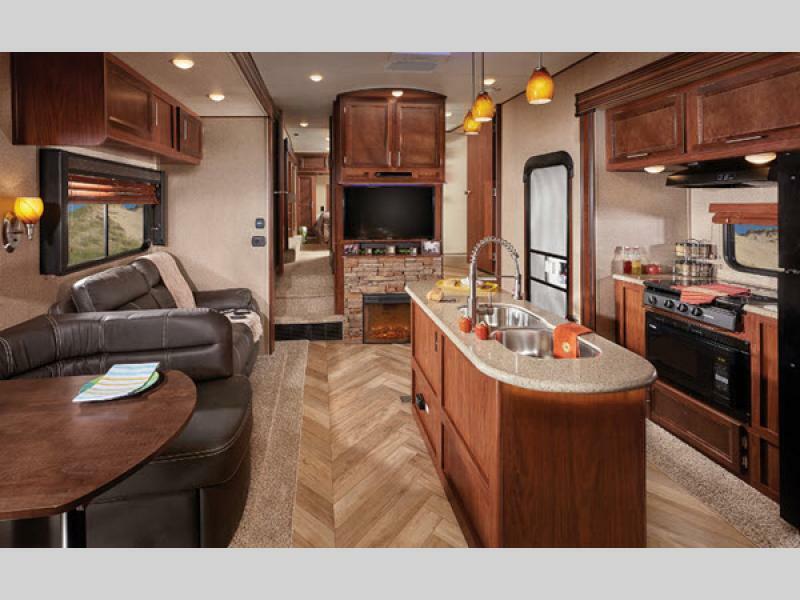 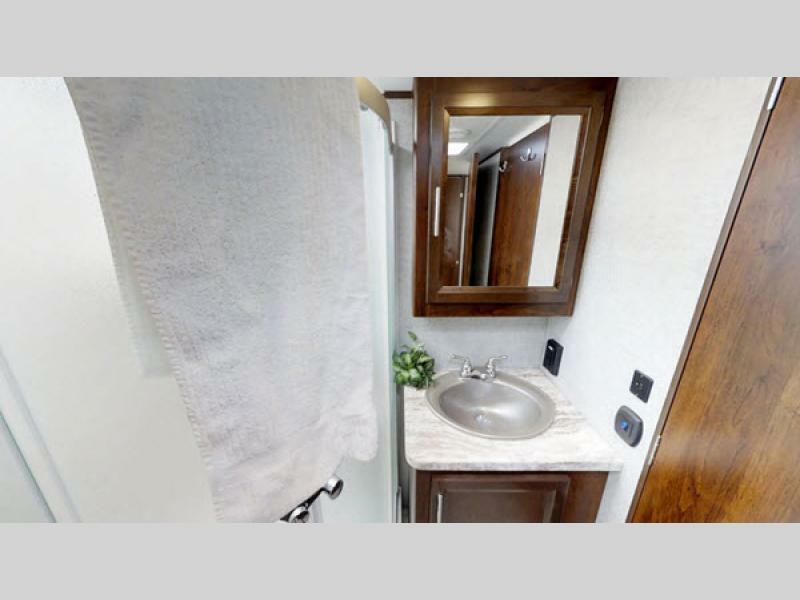 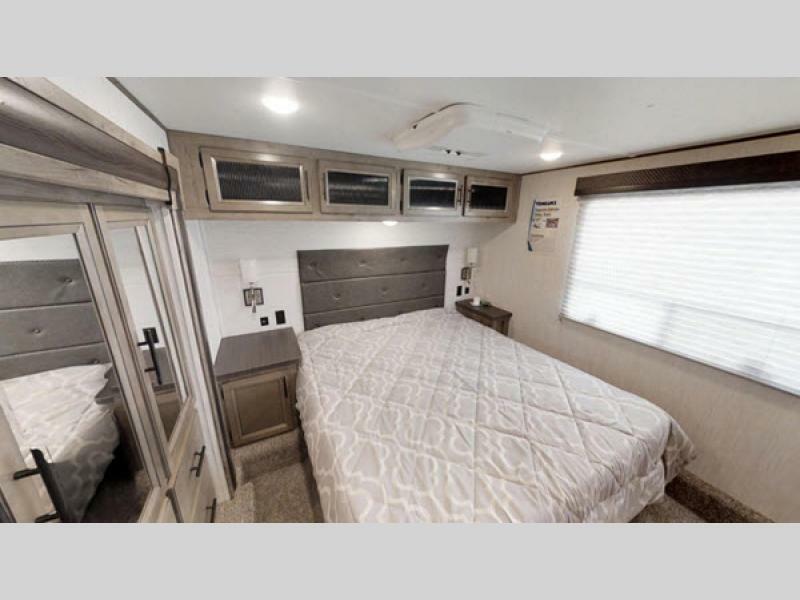 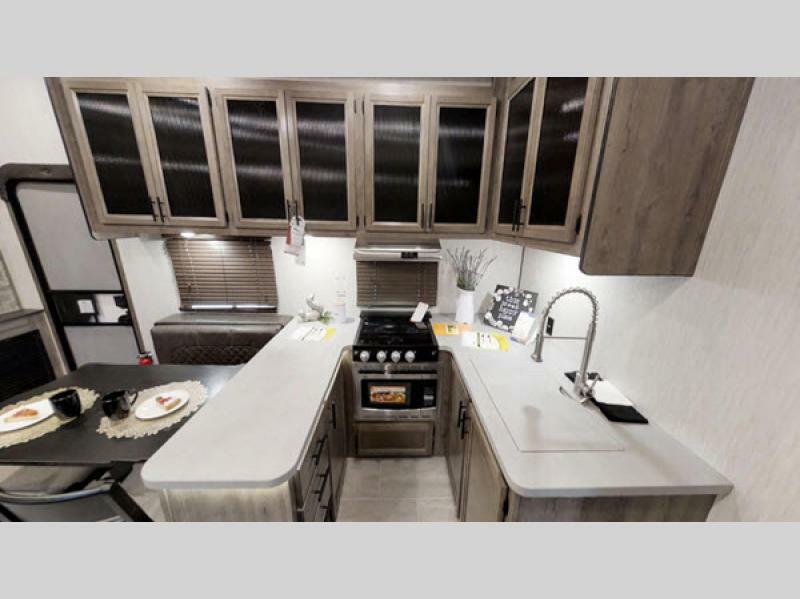 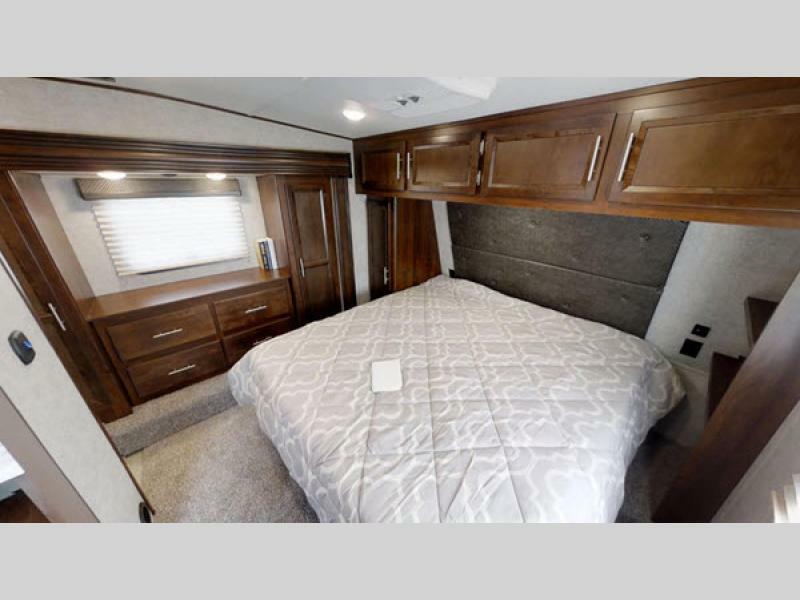 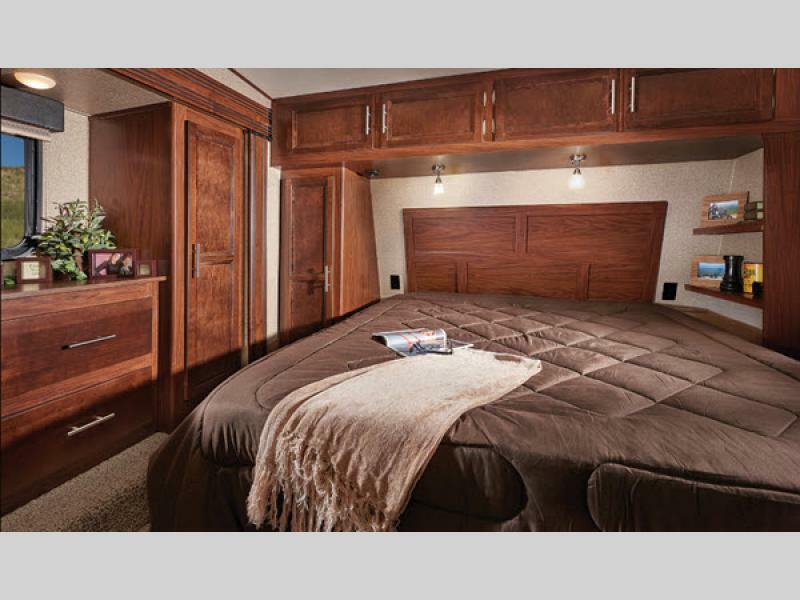 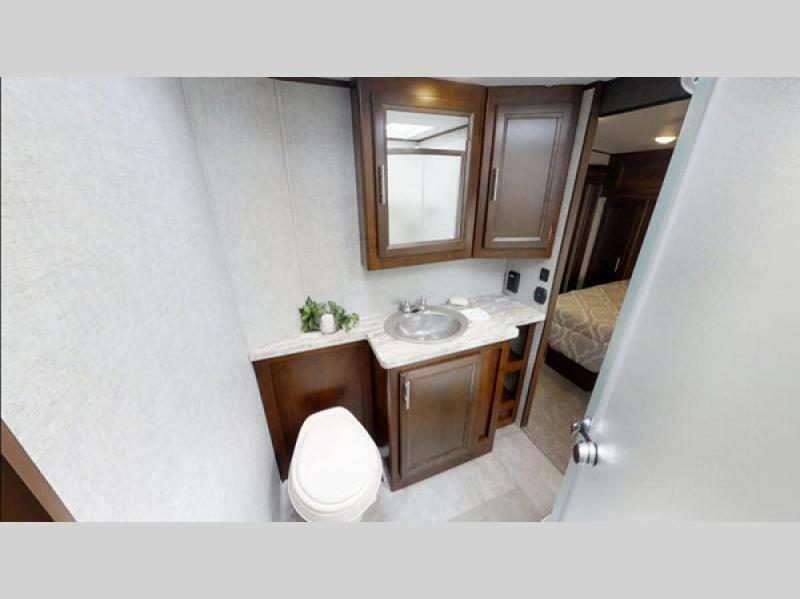 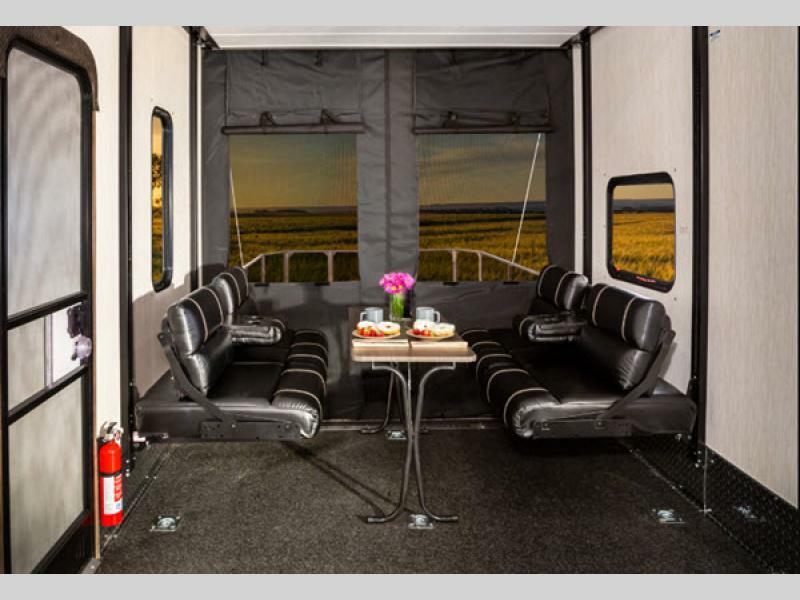 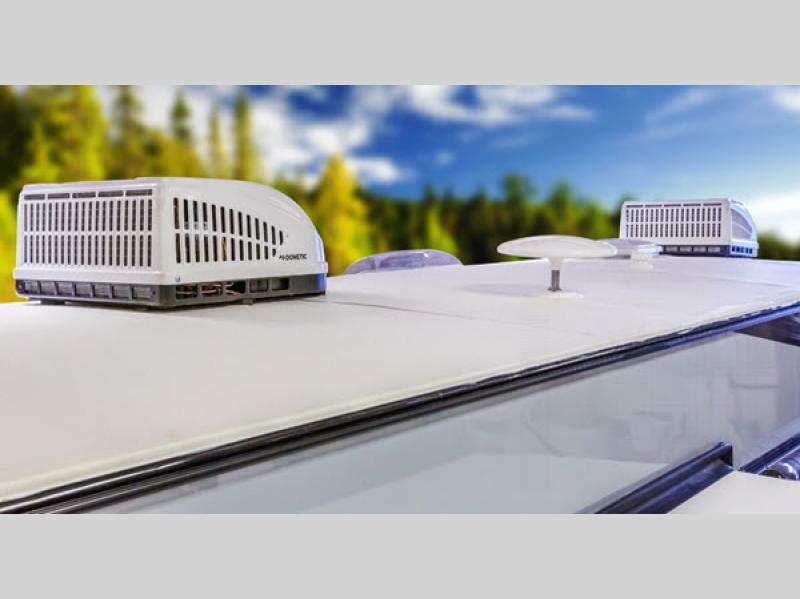 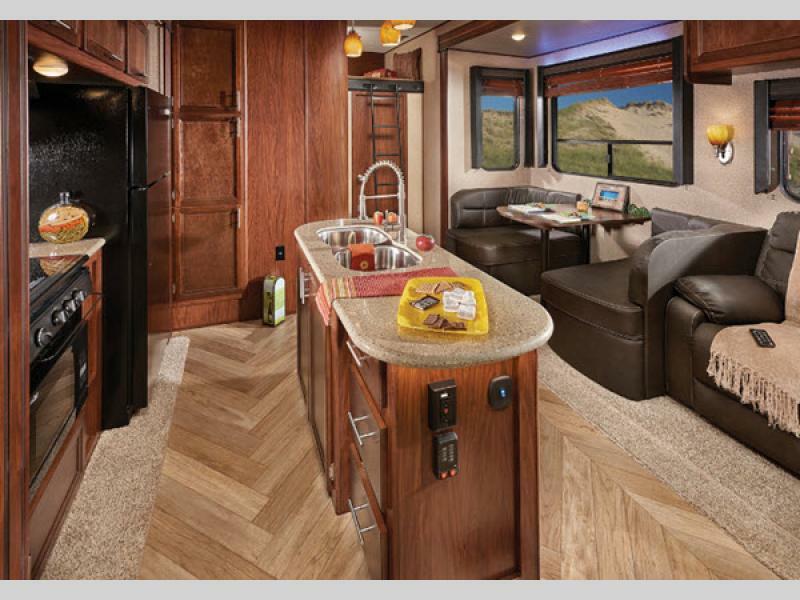 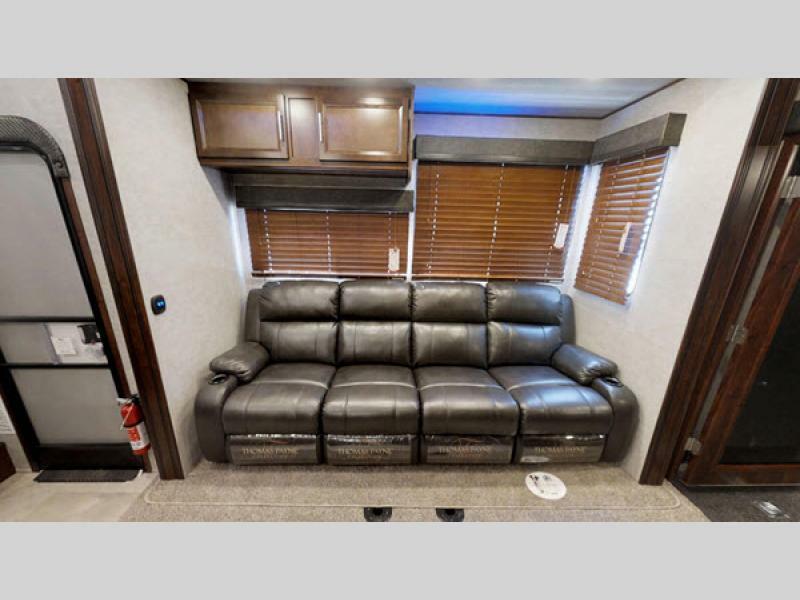 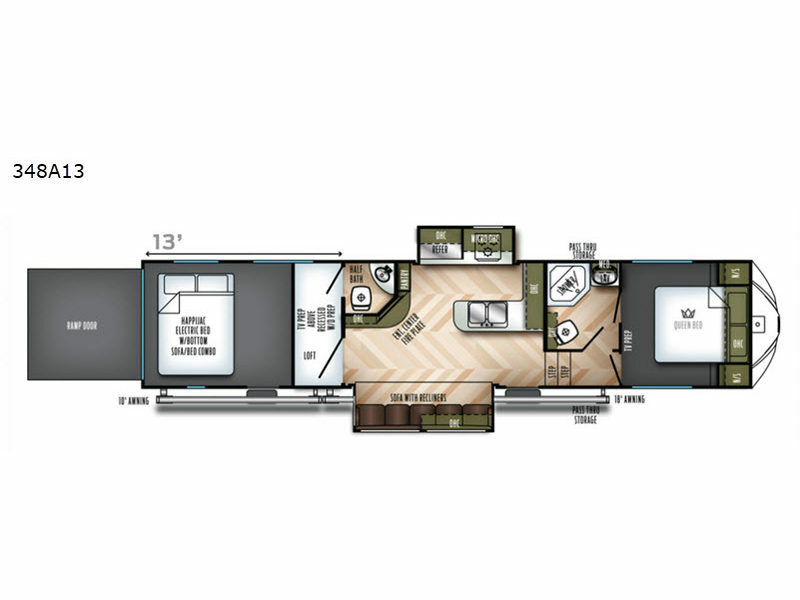 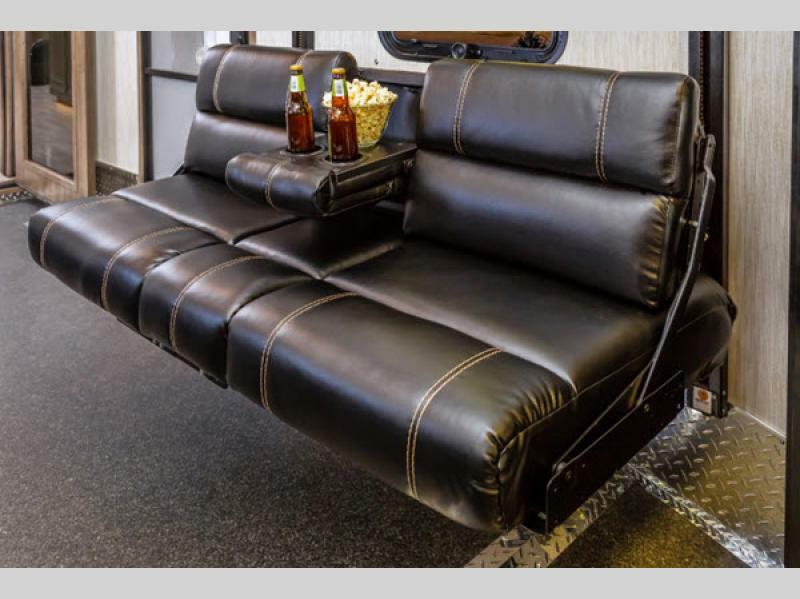 This line of laminated Vengeance toy hauler fifth wheels by Forest River has been labeled "A New Breed of Toy Hauler" because of the amazing price tag it carries, as well as the all-inclusive amenities it features. 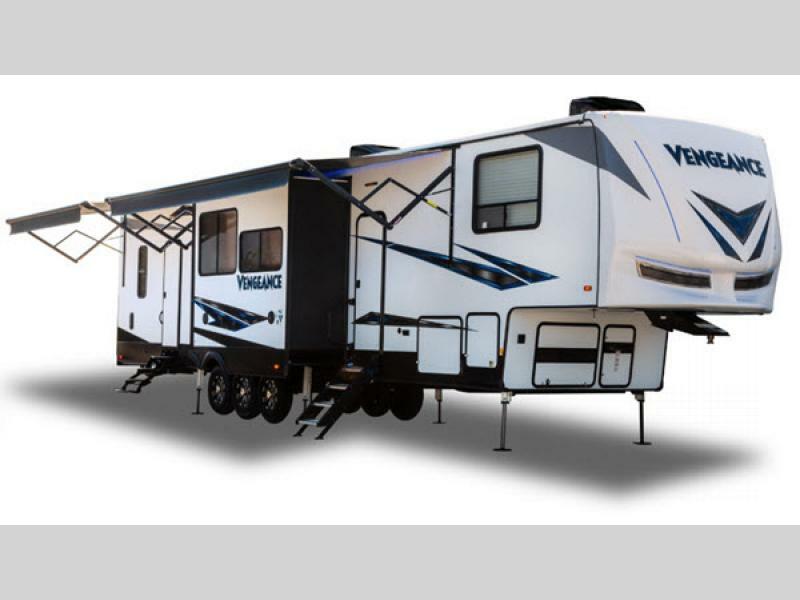 You will most definitely enjoy your next wilderness excursion as you tow along all of the toys you've always wanted to bring with you. 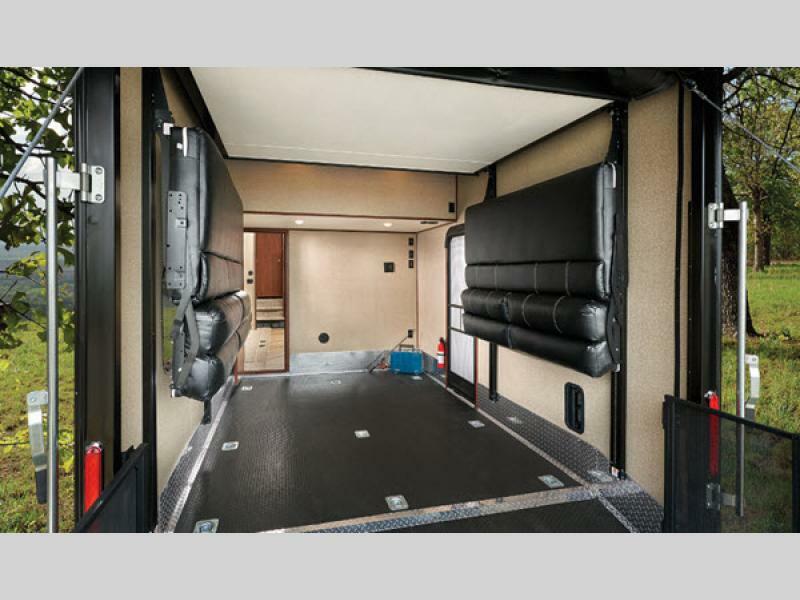 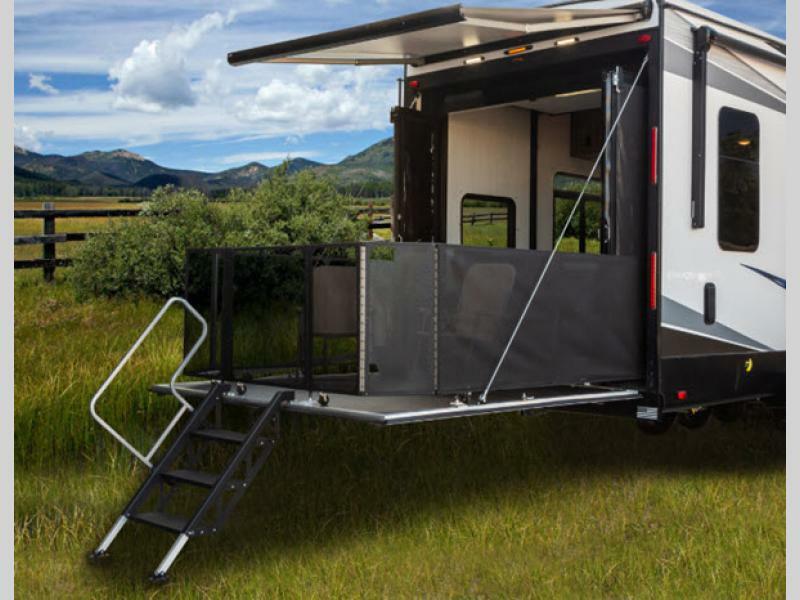 With an 8' ramp door, a 12' to 16' separate garage space, and a variety of model lengths, you will certainly find the size that fits your family's needs. 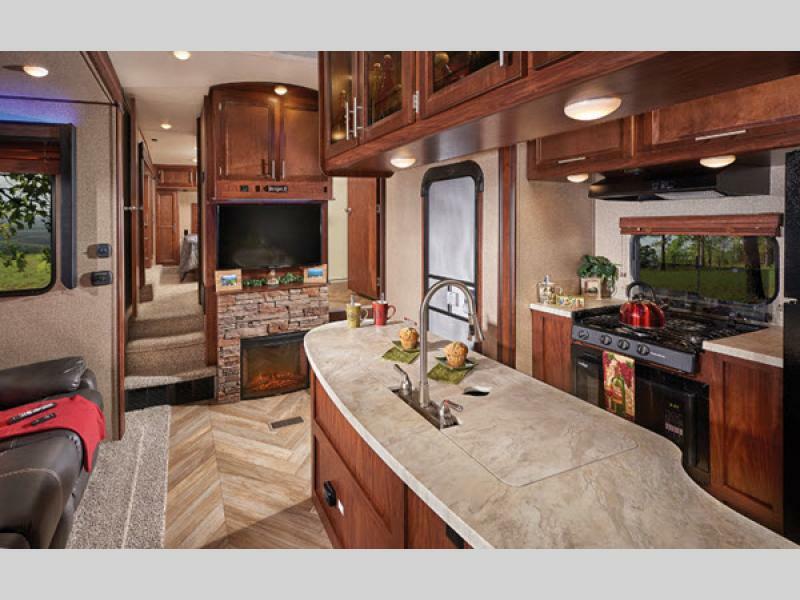 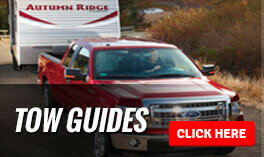 Whether you need enough garage space to store a kayak for those trips to the lake, a set of golf clubs for a round on the fairway, or an ATV to venture deep into the woods, this line of toy haulers will accommodate everyone's passions. 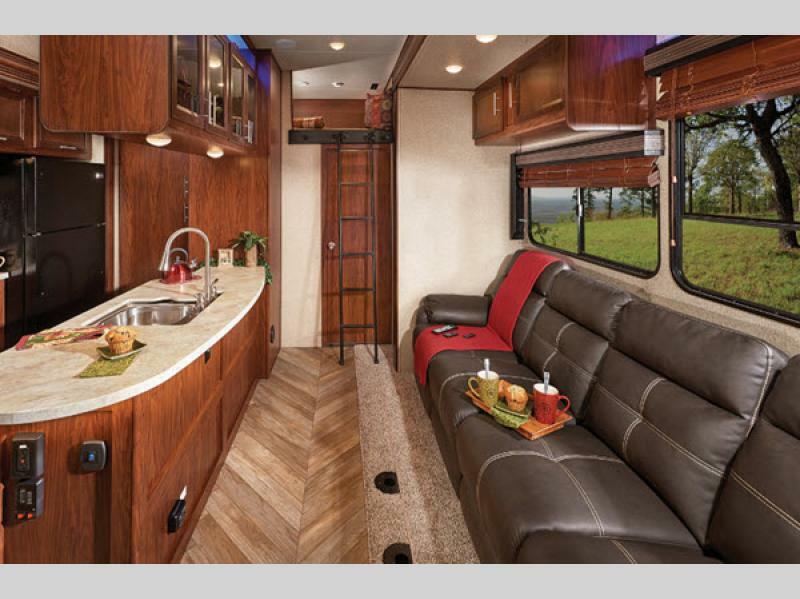 And on top of all of that, the interior living area is packed full with every indulgent and comfortable amenity you could need. 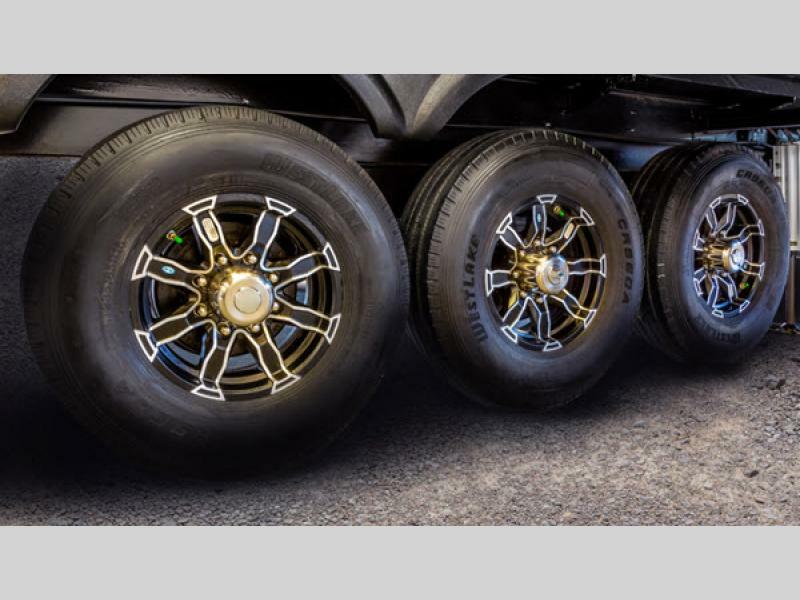 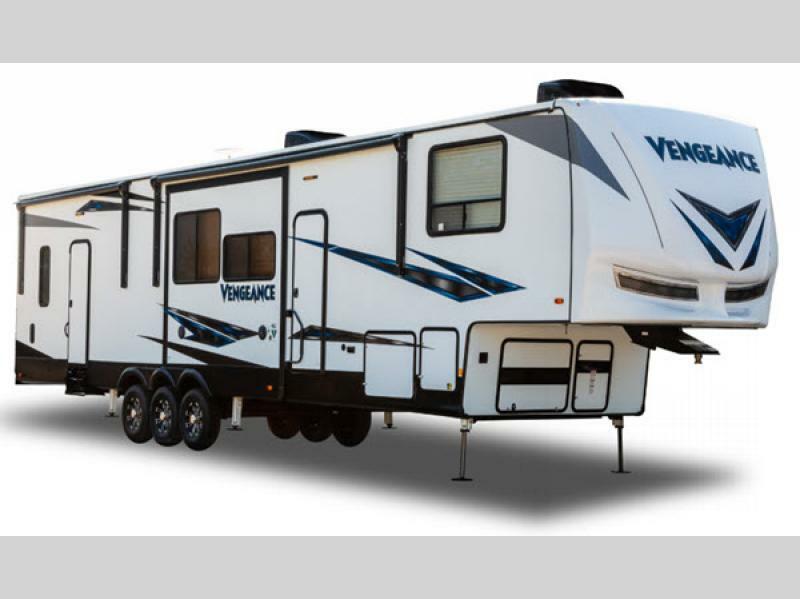 Come see for yourself what "A New Breed of Toy Hauler" looks like with one of these Forest River Vengeance toy hauler fifth wheels!